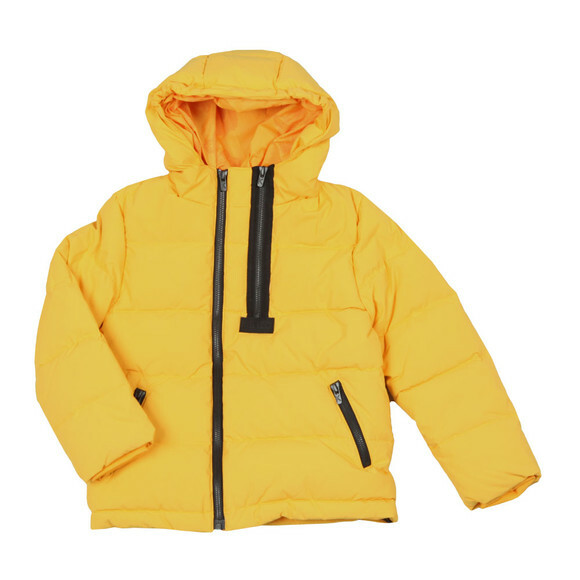 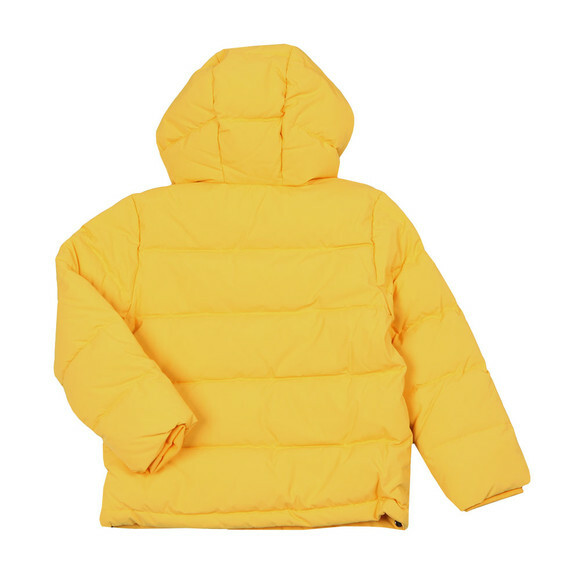 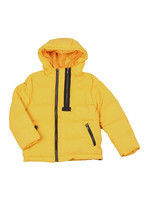 Kenzo Kids Boys Down Jacket, In Yellow. 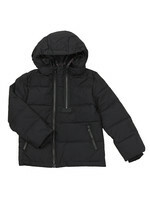 Presenting a semi elasticated hood, an embossed zip fastening and two zip pockets to the front. 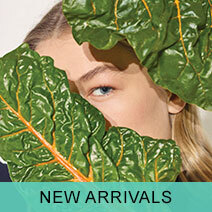 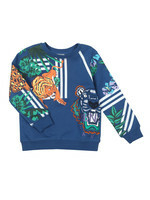 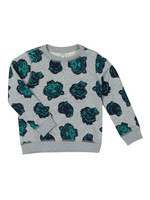 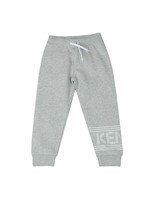 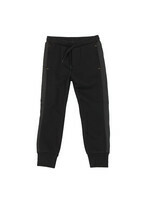 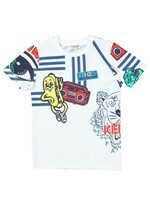 This stylish item also features elasticated cuffs and tiger prints on the inside lining.